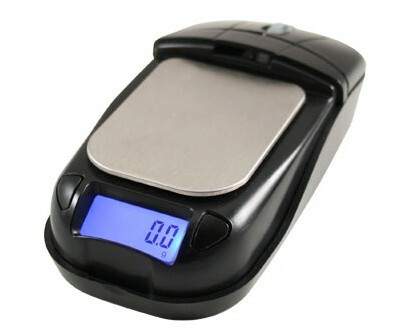 Mouse Scale – We have long sought a scale with less then 1 gram accuracy for less then $1000, finally here it is. It has .1 gram accuracy and can be found for less then $40. .1 is plenty accurate enough for our needs, but you have to wonder why they hid it in a USB mouse? ¼ tsp meringue powder add to final product. abandoned the nutmeg, coriander, and lavender oils. They are horrible and bring nothing good to the flavor. Still trying to identify the long mystery flavor that leaves bad after taste. Try a dev batch(no oils) for comparison with batch 1. Also will try the 1/8 tsp meringue powder. less meringue powder. Perhaps 1/16th tsp. Also, lemon and lime flavors seemed to strong. Made a batch of just .5ml less of lemon lime. Much better taste. Researched simple syrups more. Turns out, just adding heat will not break down the sucrose into fructose and glucose. You need to add an acid. Following online instructions, made a batch of a 1:1 simple syrup with a tsp of cream of tarter. Put on low boil for 25 minutes. Mixed with 2 liters of water and it tasted much better then our old method. Mixed in rest of ingredients and results were a very good tasting cola! Need peer review of methodology a taste results and if it passes, we add new steps to document. until it reaches a light amber color. caffeine(optional) to the mixture and mix until fully dissolved. Citrate, and 1.3g Citric Acid. For 2l size, use 10ml of the mix. your ratio) and shake VIGOROUSLY to get back into solution. 5gal(one large bag) or 27.5g for a 2l. is alcohol soluble and this vastly helps smooth out the flavor notes. WARING! Open Soda is a complex process that involves the mixing of dangerous chemicals. Please read all warning notes of all chemicals, oils, equipment, and processes listed on http://opensoda.org before starting. Only use glass and metal for mixing. To start, boil water(1 cup for 2l, 10 cups for 5gal). Once the water is boiling, add in sugar and stir to dissolve. Decrease heat to medium so that solution is barley at a boil. Add both acids to the solution. Allow to cook for 30 minutes or until it reaches a light amber color. While sugar is cooking, mix vodka and flavor oils in small glass container with pipette. Next, dissolve the gum arabic in a very small amount of water in a medium sized glass container. Your container should just barely be the size to allow your whisk attached to your drill to fit in. Contact with the sides is necessary. Pour your flavor oils into the water and gum arabic mixture and pour some back and forth to get every drop of oil. Mix the solution as high as you can for several minutes with the drill/whisk assembly. Then add the sodium citrate, sodium benzoate, and caffeine(optional) to the mixture and mix until fully dissolved. When the sugar is done cooking, pour mixture in. Pour a bit of water into the mixing vessel to get any remaining mix out and pour into sugar. This concentrate is very potent and every last bit counts. Finally, add coloring to the resulting syrup and mix. Now just pour into final container(2l bottle or 5gal keg), fill up with water(don’t forget to pour water into the pot the syrup was in to get every last drop of syrup out), and carbonate using one of the carbonation methods. Then for a 5 gal keg, use 100ml of the mix. Each 100ml will contain 5g Sodium Citrate, 5g Sodium Citrate, and 1.3g Citric Acid. For 2l size, use 10ml of the mix. Warning, this mix crystallizes fast. This is why we don’t recommend this method. If you store this mix for any amount of time, you will have to heat up the water(with out losing any of it else you throw off your ratio) and shake VIGOROUSLY to get back into solution. If you want to create diet version of any recipe, replace the sugar with Splenda. 275g for 5gal(one large bag) or 27.5g for a 2l. The vodka is used because oil is alcohol soluble and this vastly helps smooth out the flavor notes. If for some reason you do not wish to use the alcohol, you need to mix for a much longer time. If you don’t have a proper drill/whisk assembly, you can us a blender, but you need to add enough water to come up over the blades. Also, do not use plastic blender, the gum aribic will stick to it very badly. Use a glass blender and mix for several minutes.